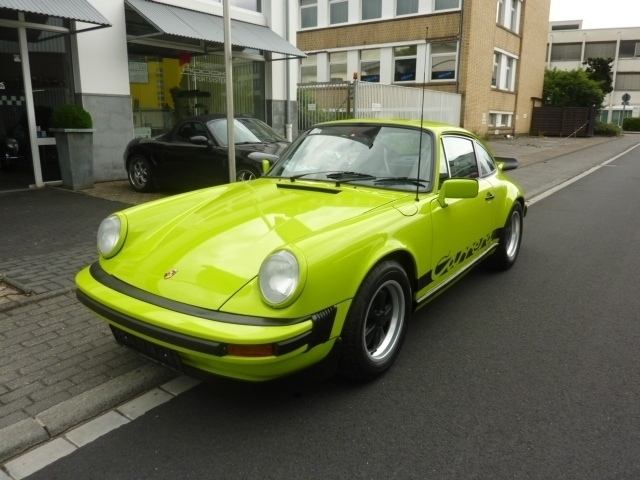 Another 1975 Carrera 2.7 MFI has surfaced for sale in Germany, with only 518 produced in 1975 this whaletail Carrera is rarer than the earlier 1974 Carrera 2.7. 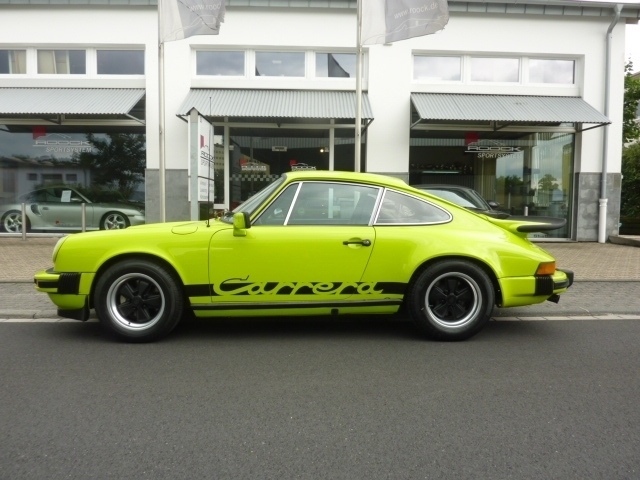 Since this Carrera 2.7 was last for sale in 2011 a light restoration has been done including removing the roll bar, complete interior, fitting of Sport seats, radio, etc. 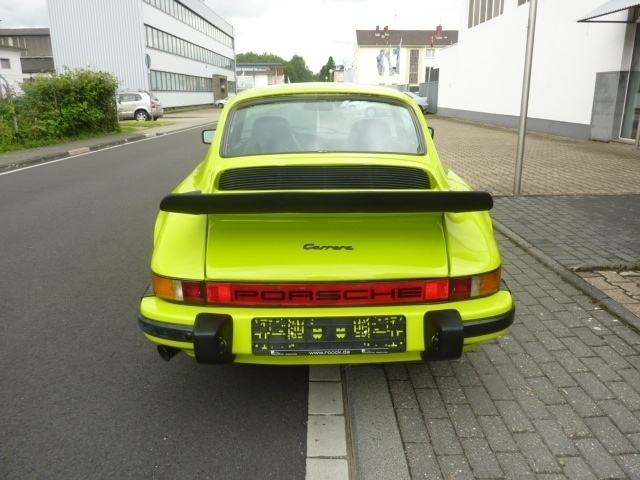 This Carrera 2.7 was very well optioned from the factory, though the currently fitted Sport seats were not part of the spec. 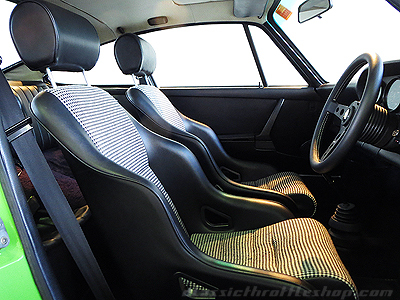 Seat inlays aren't from a material used in 1975. 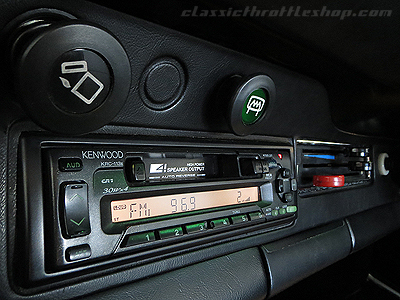 The door speakers weren't introduced until the following model year so these are a later upgrade. 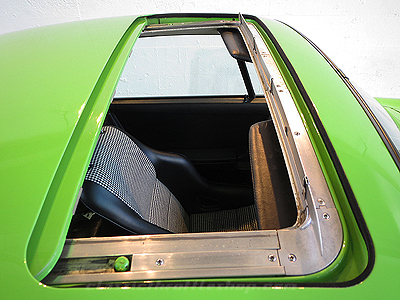 All 1974-1975 Carrera 2.7 MFI coupes came standard with electric windows, so the manual windows were likely retrofitted to save weight when the Carrera was previously used as a track car. 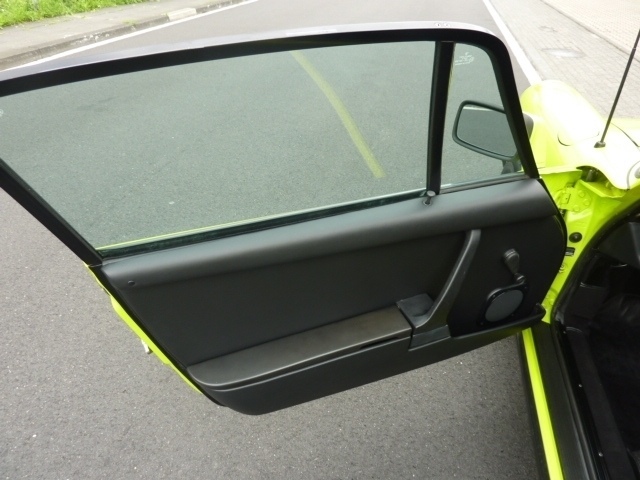 Mirrors are later flag style so have been replaced at some point. 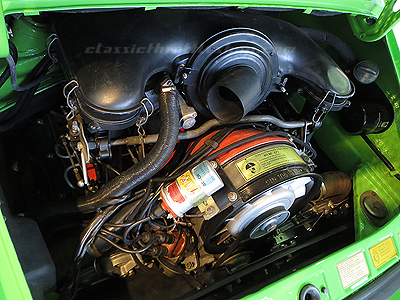 The engine looks spectacular with all the basic interior details to make a concours enthusiast happy. 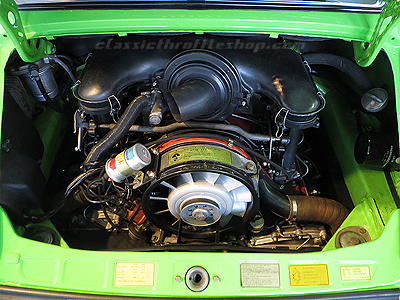 Buyers should note that while it is a correct 911/83 type engine, it was replaced at some point in the past. This typically has a 10%+ impact on the value of a Carrera which seems to be reflected at this price point. 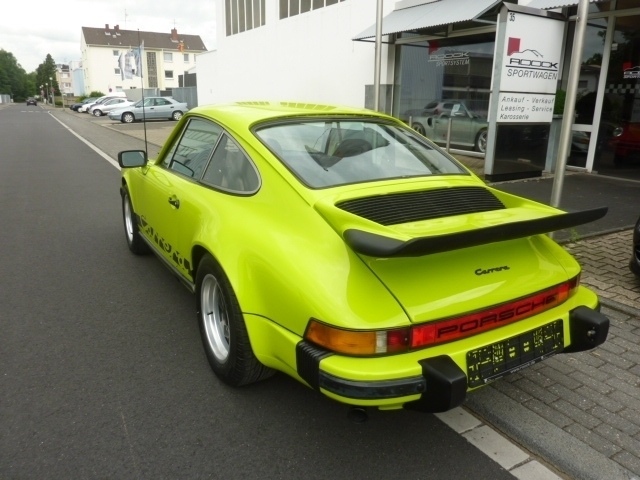 Offered for €115,000 (approx. 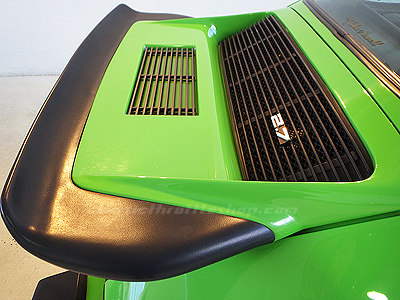 $150k USD). 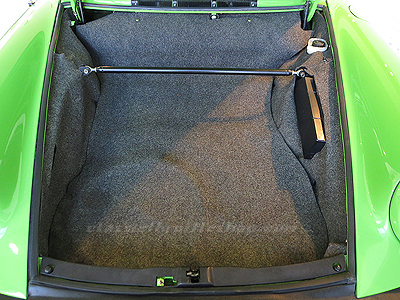 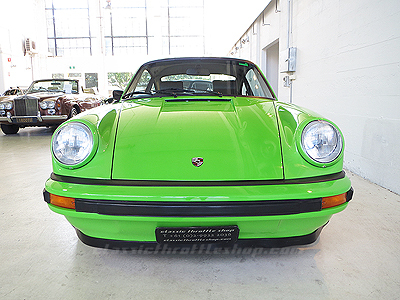 This right hand drive 1975 Carrera 2.7 MFI coupe #911 560 0508 in very desirable Lime Green has 36,301 kms shown on the clock and is available in Australia. 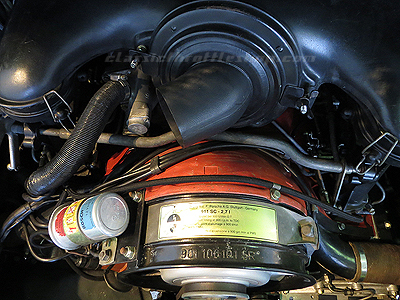 Engine was rebuilt in 2009 and buyer should inspect paperwork history for mileage as previous reported mileage was higher so odometer potentially rolled over or reset when rebuilt. 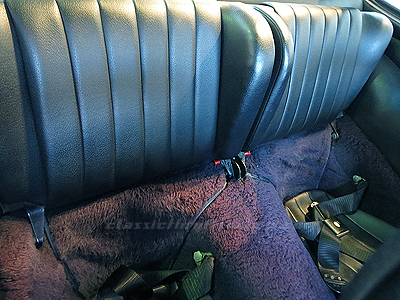 Setup as a fun driver with MOMO steering wheel, replacement sport seats, front trunk support bar, aftermarket radio, replacement speakers. 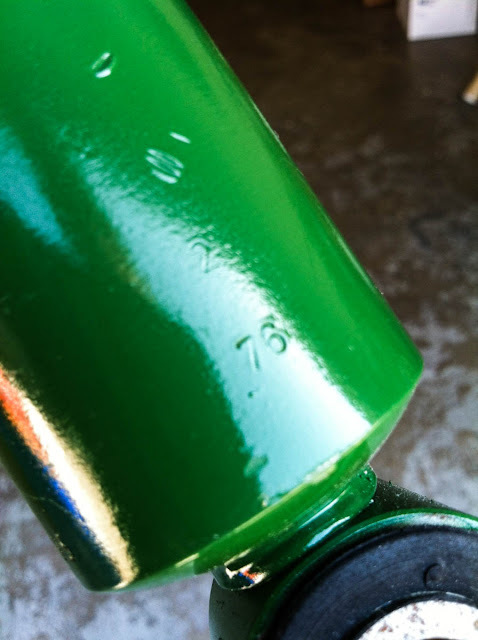 Paint tag was replaced and not restamped like the factory, but the paint work looks nice. The 1975 Porsche 911 Carrera was the successor to the legendary 2.7 Carrera RS. 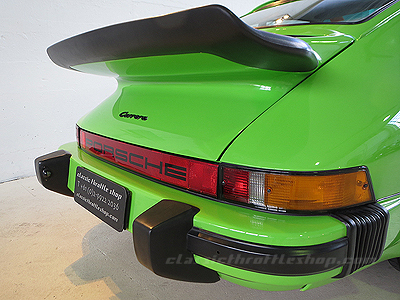 These models are becoming increasingly rare and climbing in value. 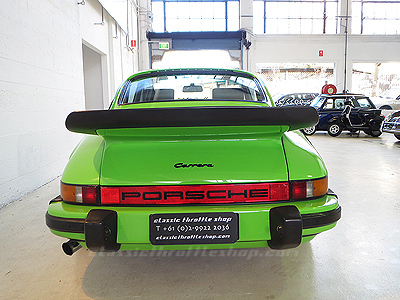 With just 9 cars delivered to Australia, 3 being race cars, 3 being road cars and 3 apparently being written off, makes this a great opportunity to own a piece of Porsche history. 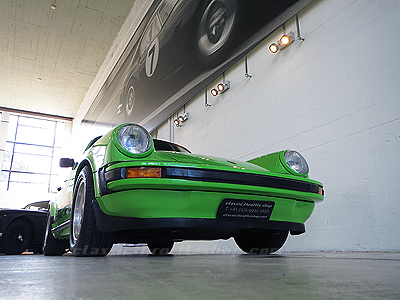 Presented here in its original colour of Lime Green and in an unrestored condition this matching numbers ‘75 Carrera is very rare indeed. 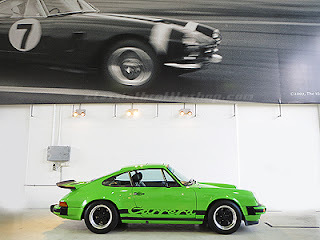 The ‘75 Carrera had the identical 210BHP engine as the ‘73 RS, also weighing in at 1075kgs the same weight as the ‘73 RS Touring model makes this car very light and also very fast. 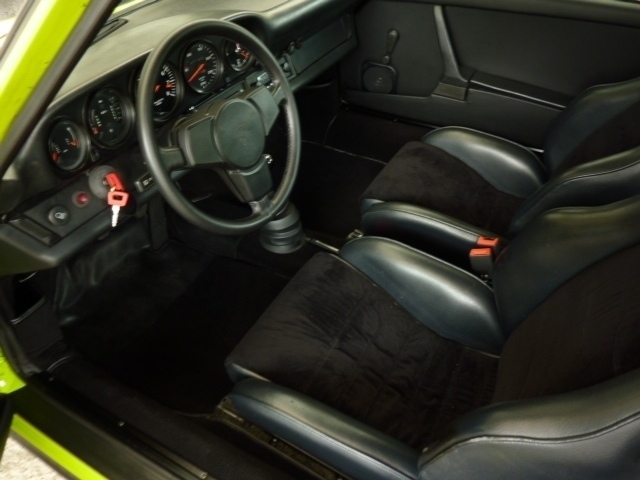 The car screams 70’s, with its stunning Lime Green paint work, period BF Torini seats (original seats also come with the car) and deep pile carpet set. 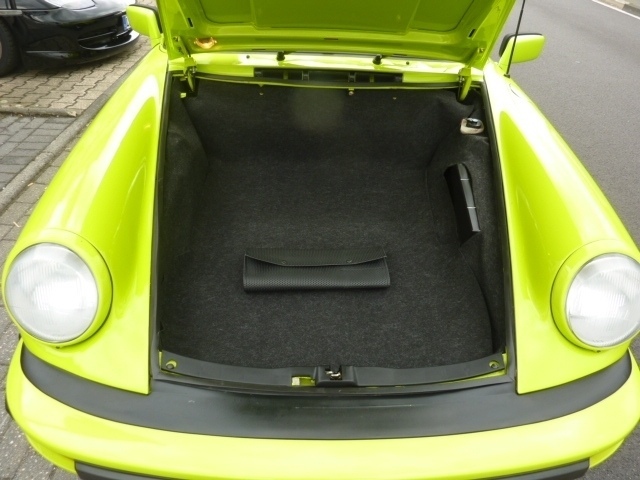 Having just benefited from a top end rebuild by local Porsche specialists and accompanied by an extensive history file including books, this is a great opportunity to own a rare and collectable car. 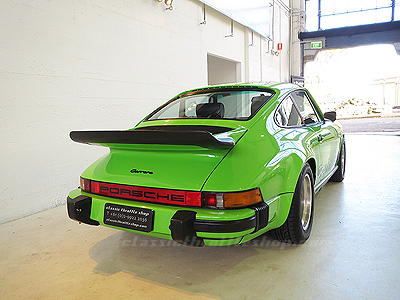 Offered for AUD $154,995 (approx. 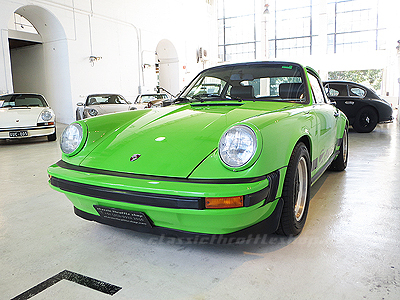 $144k USD). One enjoyable aspect of restorations is seeing all the old parts being returned to like new through careful reconditioning, cleaning, painting, replating, and other techniques. 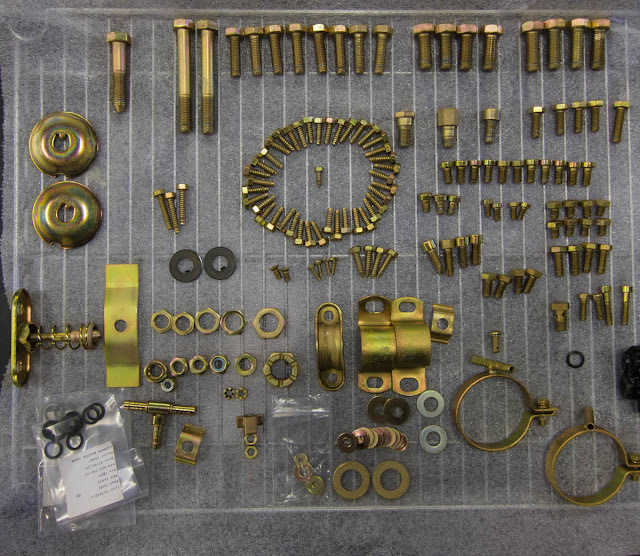 You end up with an assortment of parts that resemble jewelry for the mistress in your garage. 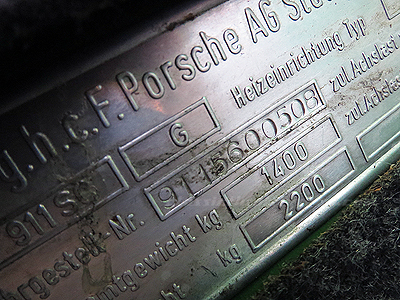 Going through this process you will notice that quite a number of 911 parts have stamped or cast date codes. 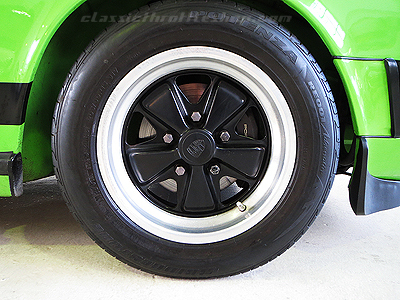 For example Fuchs wheels, the Goodrich Space Saver spare, every Bosch part, almost all cast parts, door latches, rear window glass, Behr oil cooler, shocks, seats, CDI box, muffler, steering rack, and the list goes on. 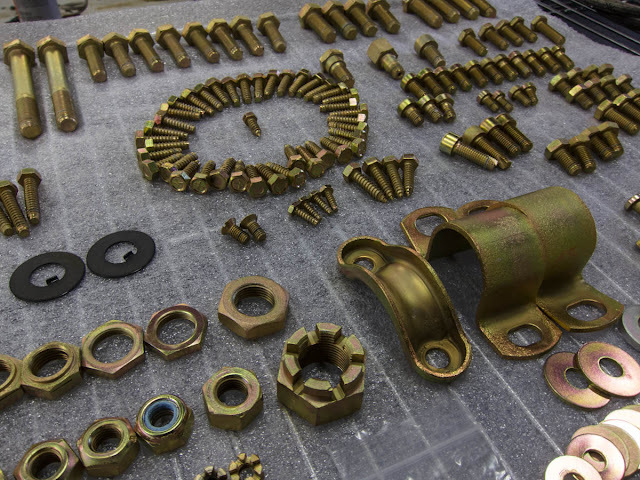 Date codes can be important to track to figure out what parts may have been replaced over the years and may need originals to be sourced. 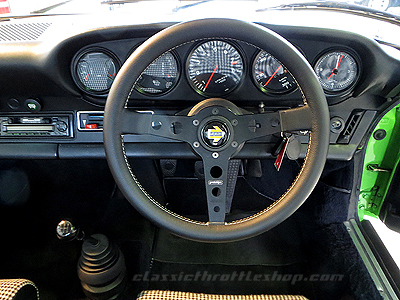 1976 Carrera 2.7 MFI #9050 was completed in June 1976 with most parts coming from the March through May time frame. 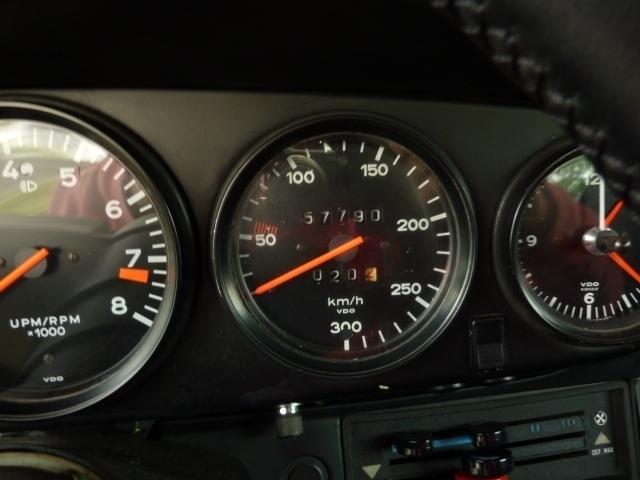 However, some of the engine components were dated 1973 and 1974, giving some weight to the theory that these special non-production 1976 Carrera 2.7 models were built to use up Porsche's stock of spare parts from the earlier Carrera RS and Carrera 2.7 production. An assortment of parts Zinc plated awaiting their turn in the restoration process. 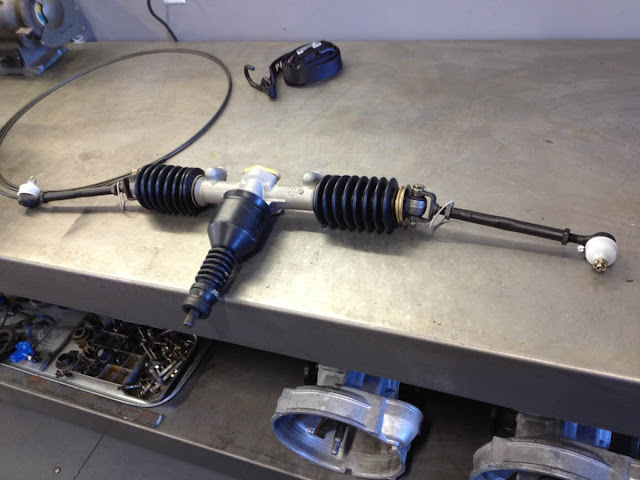 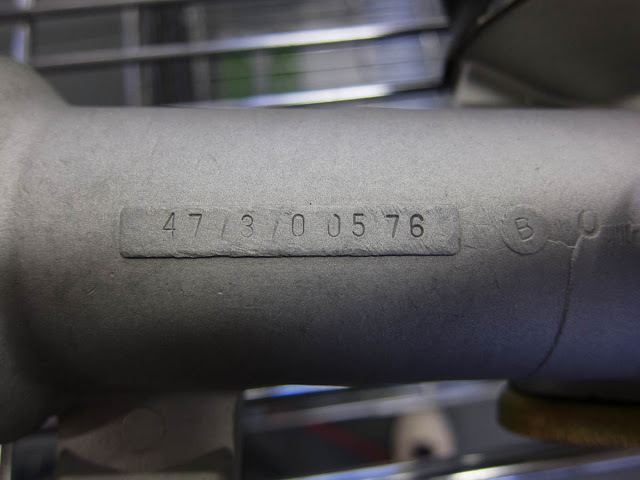 The original steering rack had a May 1976 date code stamping. 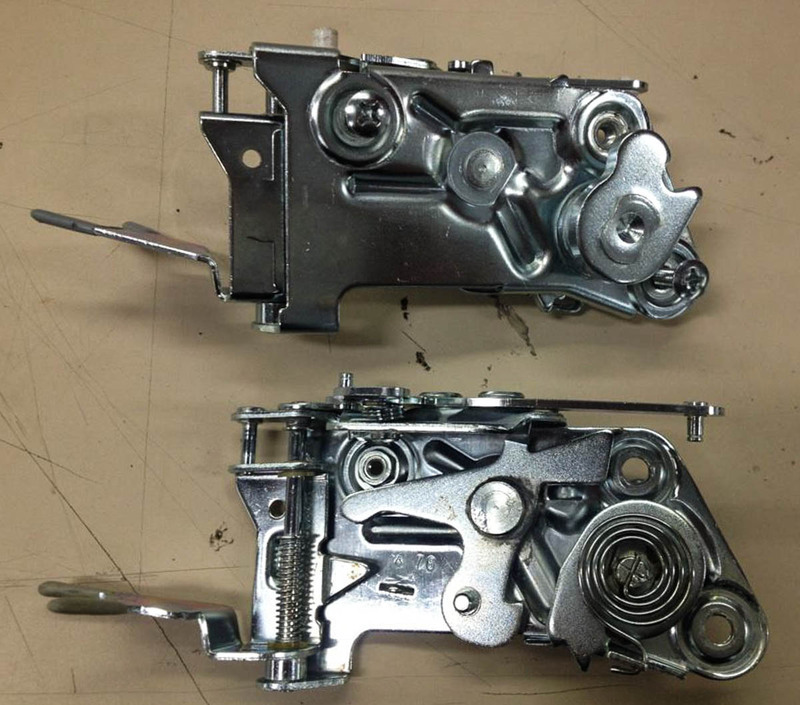 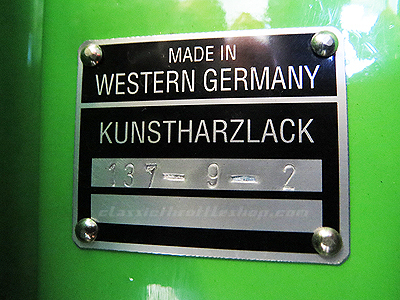 The original door latches had an April 1976 date code stamped. These Bilstein rear shocks have a February 1976 date code. 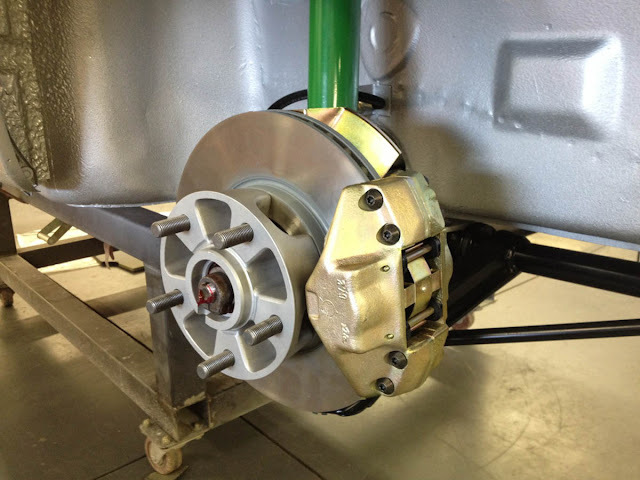 Rear brakes and suspension finally fitted after the backing plate returned from being Zinc plated. 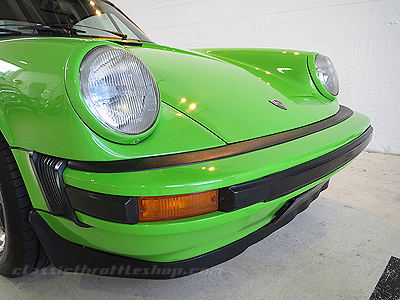 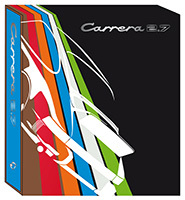 The windshield that came with Carrera #9050 had some pitting and was already a previous replacement windshield as it had a later style dark blue tinted band at the top. 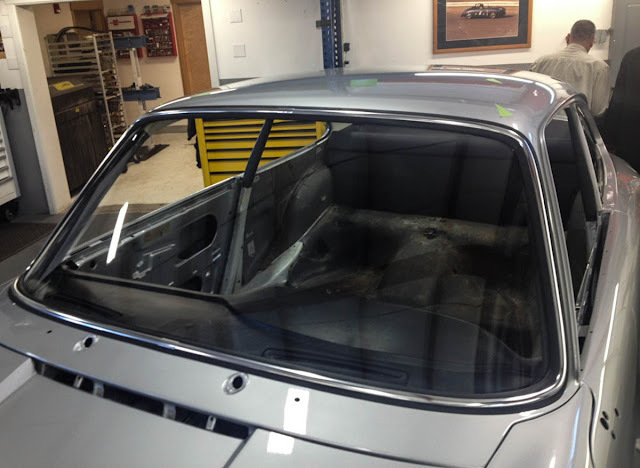 We ordered a new clear Sigla windshield from Stoddard and put the old windshield into storage. 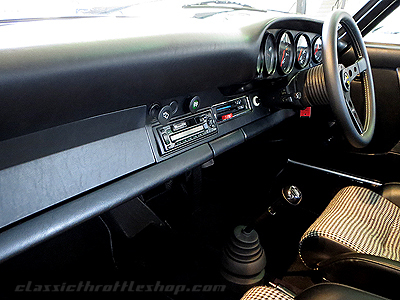 Getting a proper fit along with dashboard took quite a bit of effort and I'm sure the two Jonathans were relieved once the dash and front windshield finally were in place. The rest of the glass that came with the Carrera was original, though one or two windows had minor scratches which we had polished out. 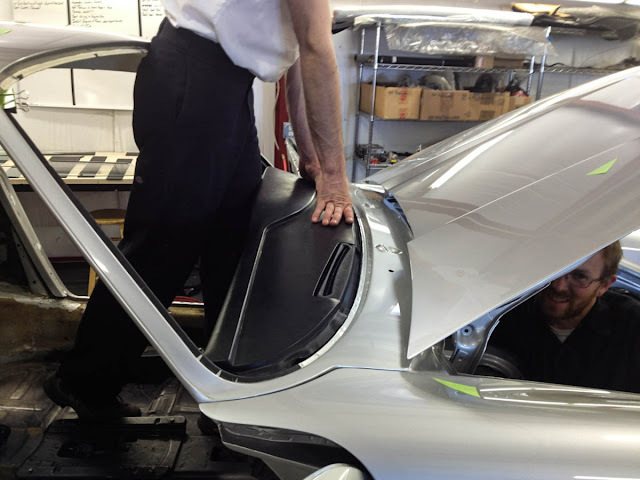 There was an aftermarket tint on the rear window that was carefully removed, however during this process we actually found a date code I didn't know existed. 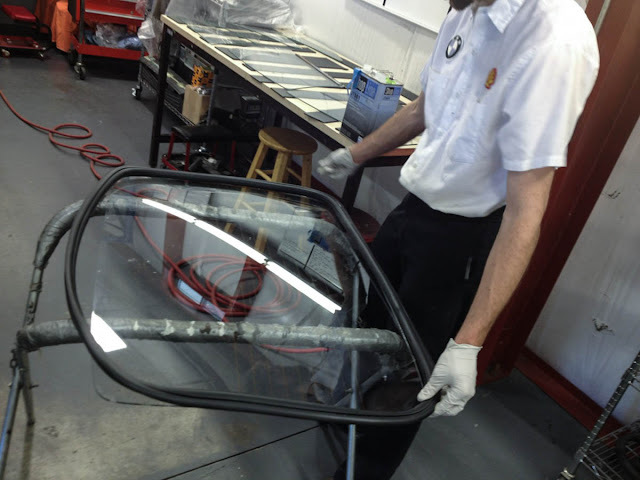 I've inspected 911 glass over the years and never noted any date codes on the windshield or side windows. 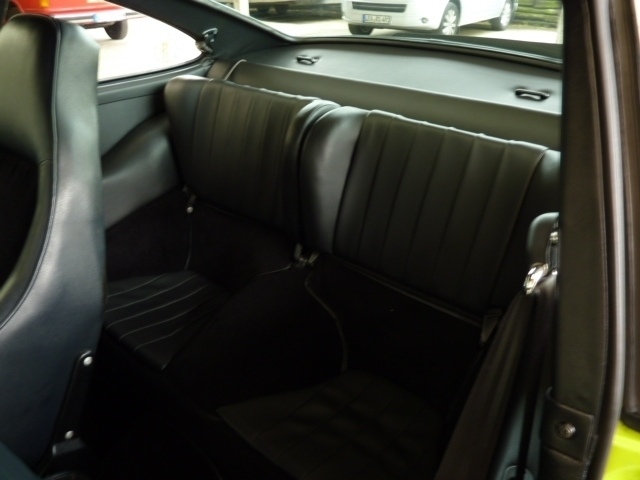 However, on the rear heated window we spotted a small two digit "76" year date code etched into the right hand side. 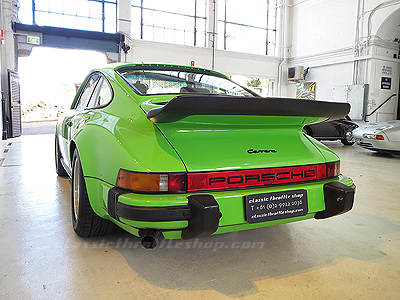 Intrigued, I also looked at an early 1973 Carrera RS at the CVR PCA Father's Day concours last weekend and sure enough a "72" was etched on the rear window. 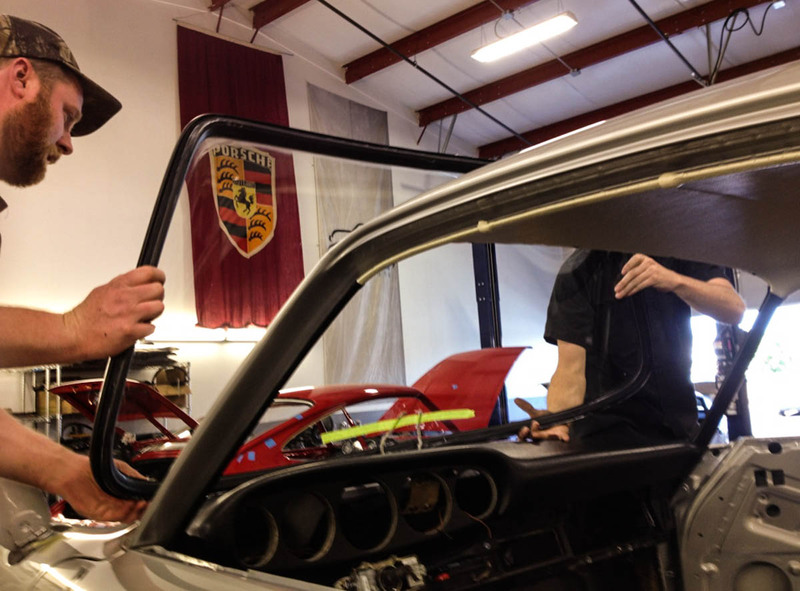 Before installing the windshield the first step is to fit the headliner and dash as once the windshield is in place these can't be fitted. 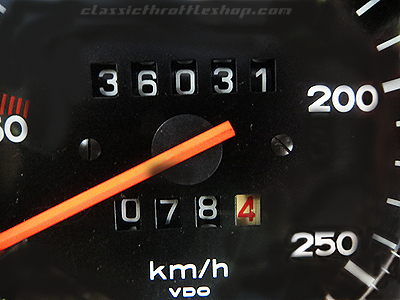 The dashboard found on the 1976 model year is unique with no speaker grill and no center air vent. 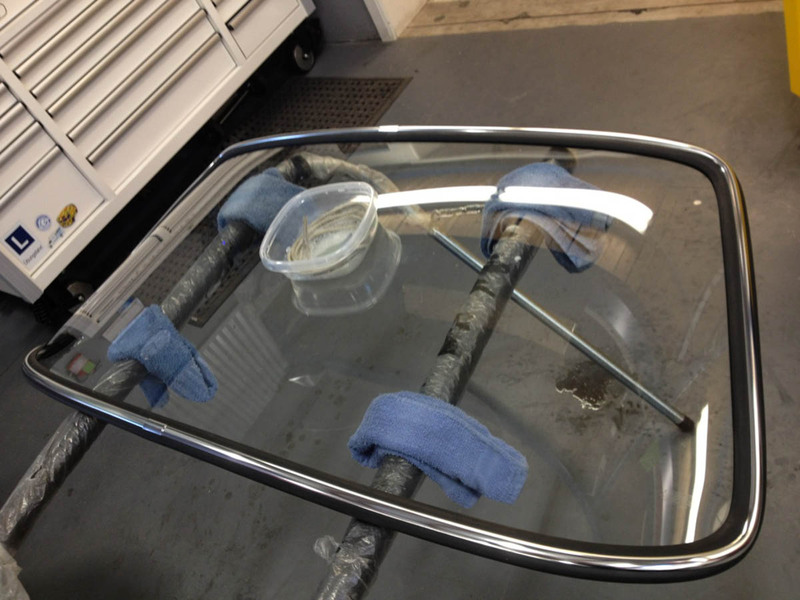 Front windshield with chrome trim strip and seals fitted prior to being installed. 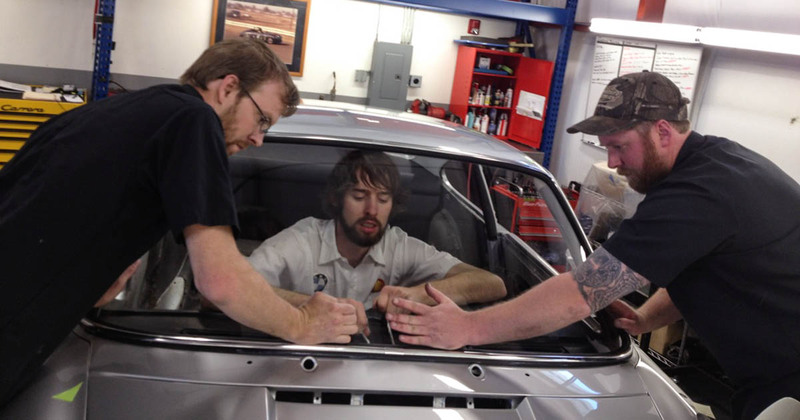 Getting the windshield and dash to properly fit takes a full house of guys! 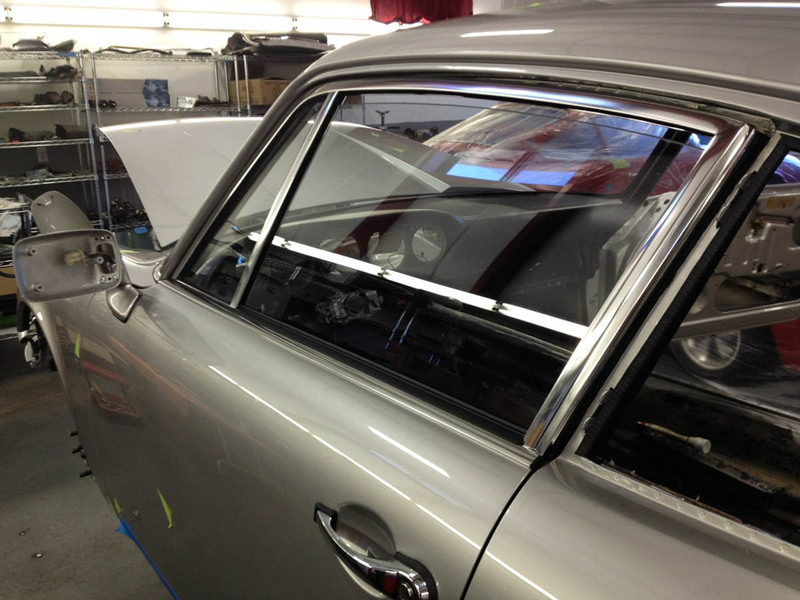 Preparing the rear window for installation. 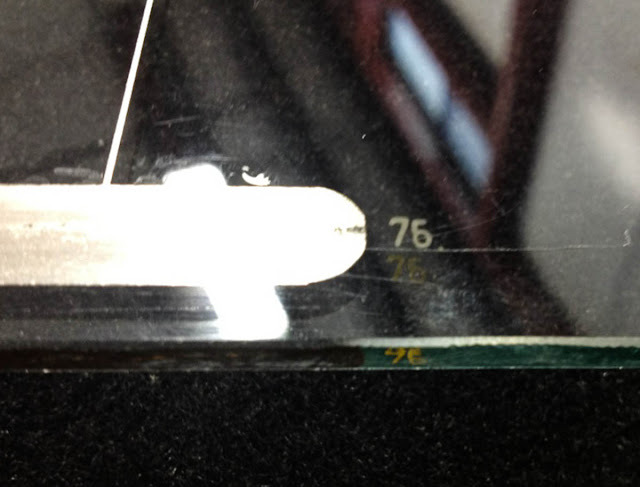 Rear window had a "76" date code etched into the glass. 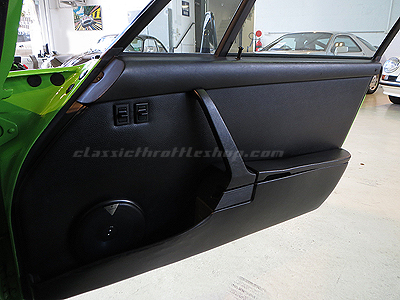 Next up was installing the clear anodized window frames, window regulator, and glass on the doors.